Jaden Knight – North American Indigenous Champion! 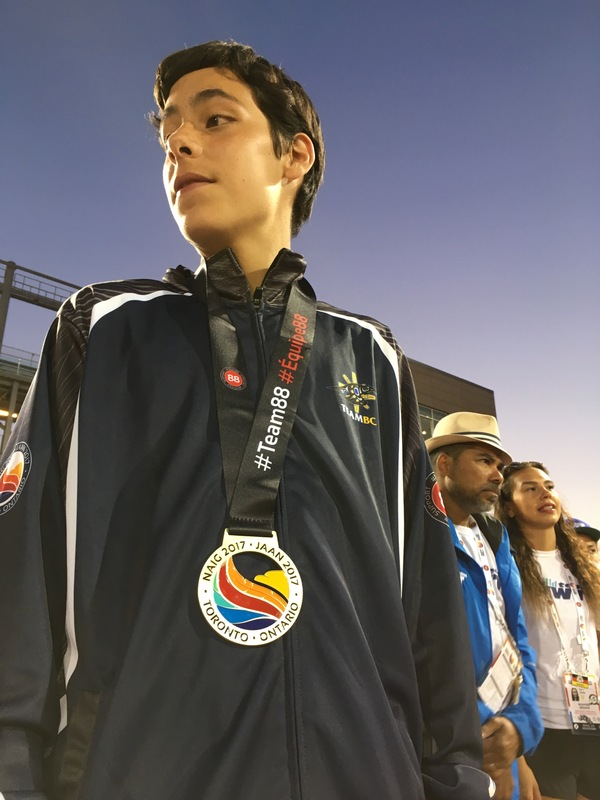 Royal City midget aged thrower, Jaden Knight, won double gold medals in javelin and discus at the North American Indigenous Games in Toronto. He also took home a silver medal in shot put with a put of 12.22m. Jaden was the only athlete over 40m in the javelin competition and won it with a personal best throw of 41.12m. He also threw a personal best of 36.34m in discus to win the competition by a mere 4cm!